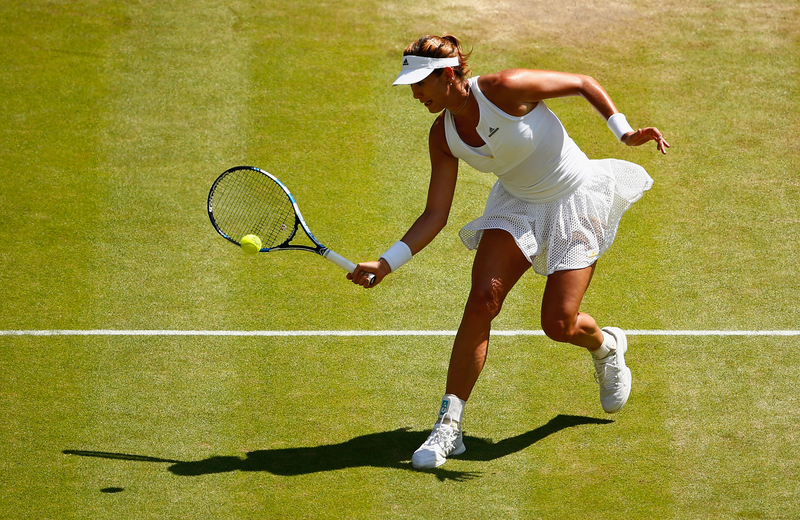 Spain's Garbine Muguruza beats Poland's Agnieszka Radwanska, 6–2, 3–6, 6–3 to make her first Grand Slam final at Wimbledon 2015. 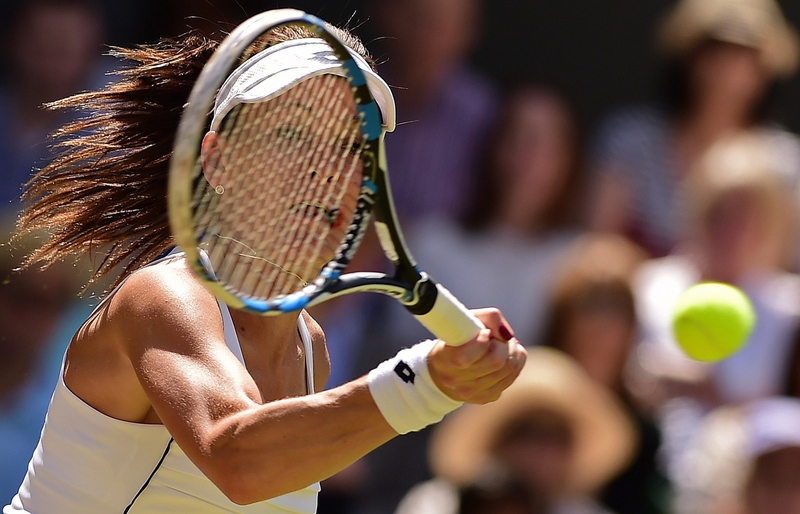 LONDON – Garbine Muguruza became the first Spanish woman to advance to the Wimbledon final since 1996 after beating No. 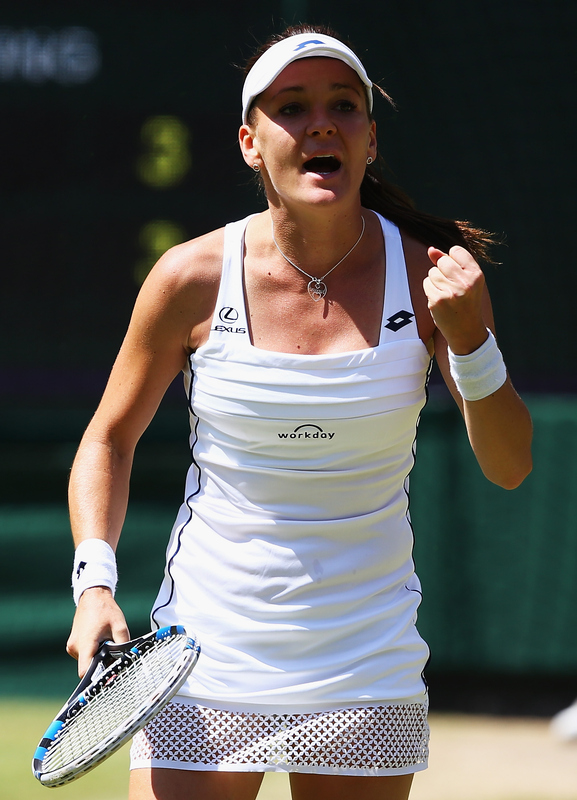 13 Agnieszka Radwanska 6–2, 3–6, 6–3 in the semifinals on Thursday. 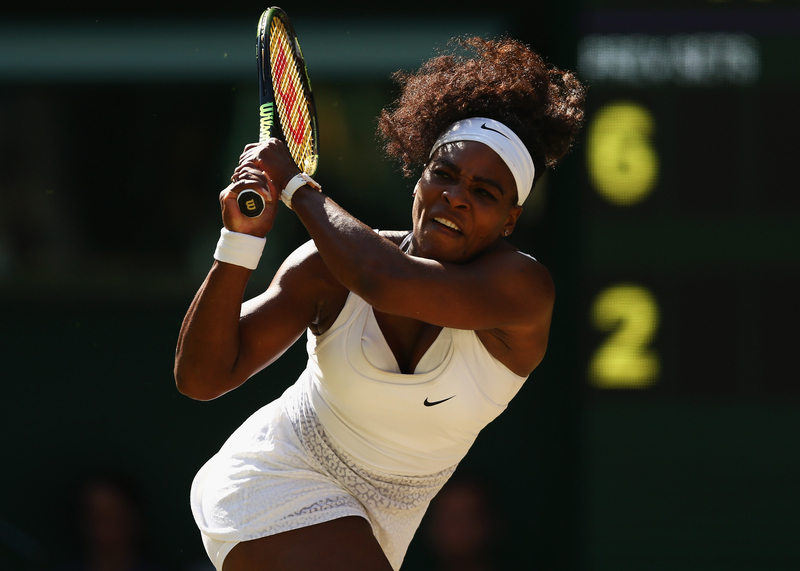 Playing in just her third Wimbledon main draw, the 21-year-old born in Caracas, Venezuela, out-blasted the Polish veteran and then managed to hold her nerve to close out her fourth consecutive upset win of the tournament. Seeded No. 20, Muguruza has charged through the tournament with wins over No. 5 Caroline Wozniacki, No. 10 Angelique Kerber, No. 15 Timea Bacsinszky and now Radwanska. 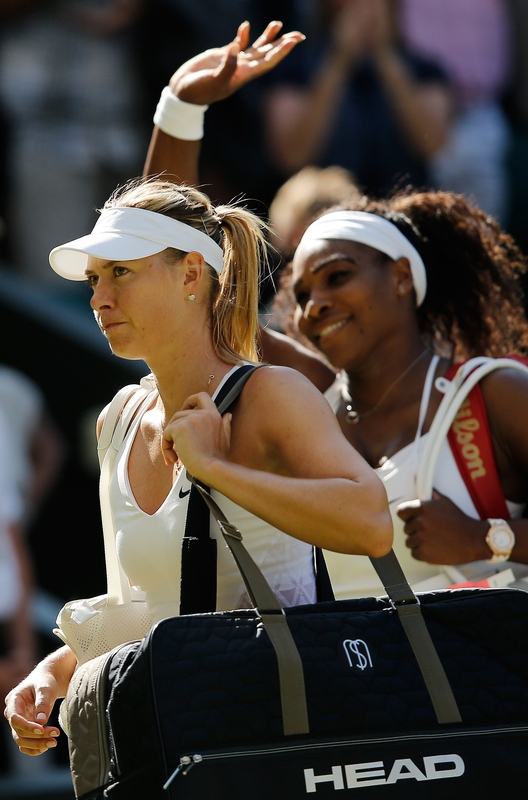 She has done it without having shown any real prowess for playing on grass, having won just one match at Wimbledon before this year. 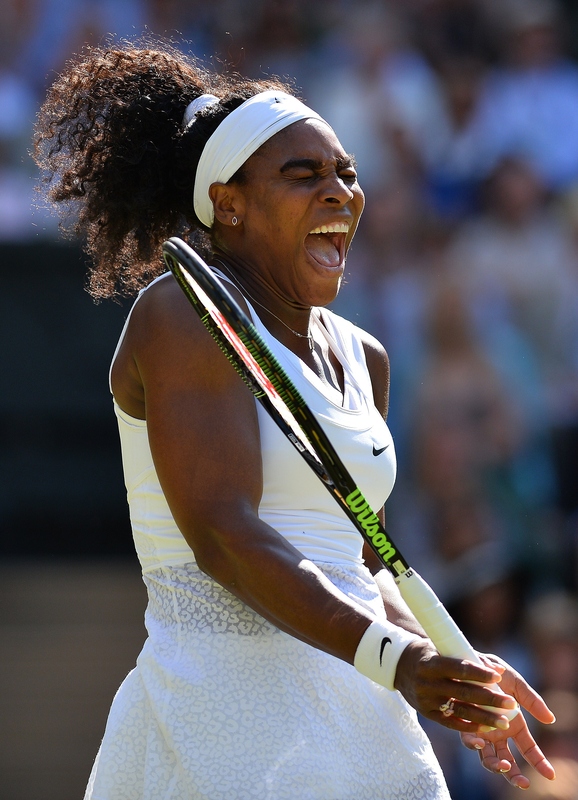 Yet over the fortnight she has proven to herself just how dangerous her big-hitting game is on grass. Thanks to her run to the final she will make her Top 10 debut on Monday. Playing in her first Slam semifinal, Muguruza came out firing. She dominated off the ground, overpowering Radwanska's counterpunching game with 12 winners and 6 unforced errors in the opening set. She rolled to a quick double-break lead at 4-1 and never looked back, serving out the set and building a quick break lead in the second set at 3-1. 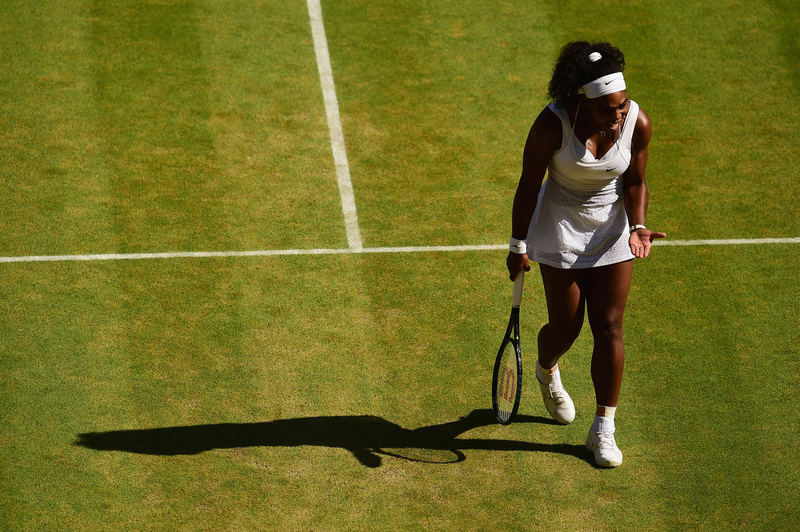 "I think I was playing really, really good," Muguruza said after the match. "Too good. So I had to stay calm and keep my poker face." With a spot in her first Slam final just three service holds away, Muguruza let Radwanska off the hook with a bad service game at 3-1, after two bad errors gave Radwanska an opening. She was broken, and that kicked off a string of six consecutive games for the Pole, who began to switch up her tactics to keep the ball low on the tall Spaniard. She began to dictate the rallies and put the ball back on her racket, and as Radwanska's first service percentage improved—she served at 65% in the first set and 86% in the second set—Muguruza struggled to break. "I was just thinking that the match was going to be really tough and I was really nervous in the second set," Muguruza said. "Radwanska has a lot of experience." The Pole got the immediate break in the first game of the final set before Muguruza stepped up with one of her best return games of the day to stop the bleeding and break back. 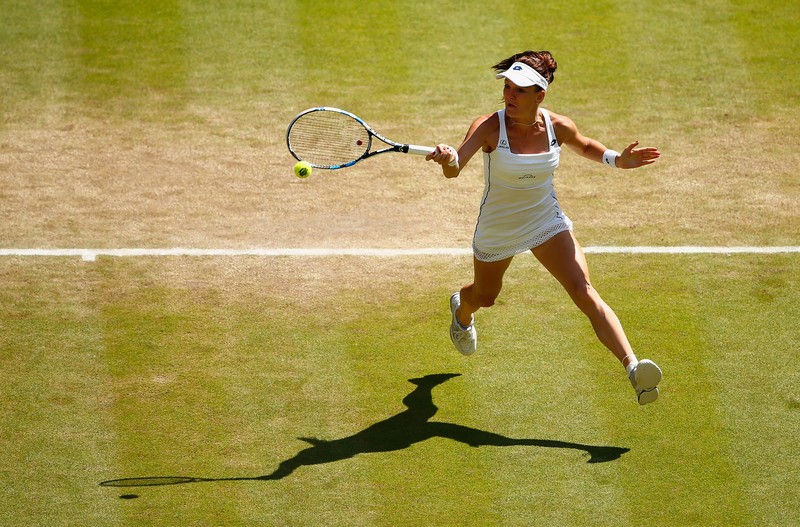 Still with the momentum, Radwanska was on the verge of breaking Muguruza multiple times. She had 30-all looks at 1-1 and 2-2 but the Spaniard played some clutch tennis to hold and then, in the sixth game of the final set, she broke to 4-2. 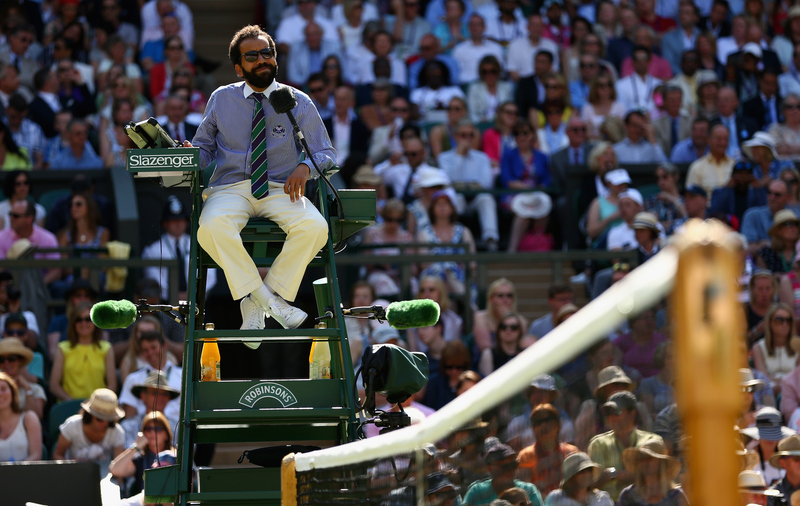 The tension returned as Muguruza stepped to the line to serve out the match. She opened with a backhand that flew well long and double-faulted to give Radwanska a break point to get back on serve. She saved it to get back to deuce but then controversy came. At deuce, Muguruza hit a deep ball that clipped the baseline. Radwanska apparently heard an out call from her player's box and stopped play to challenge the call. 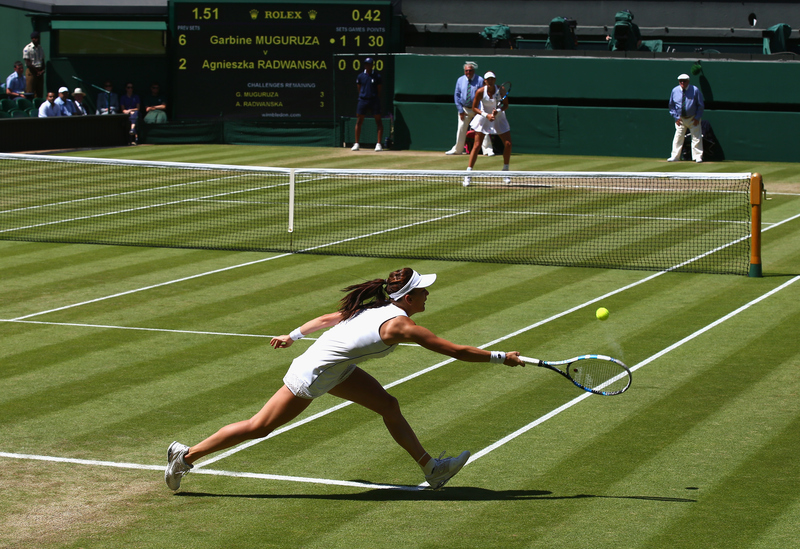 Muguruza didn't see the stoppage and continued playing, hitting the next ball long. 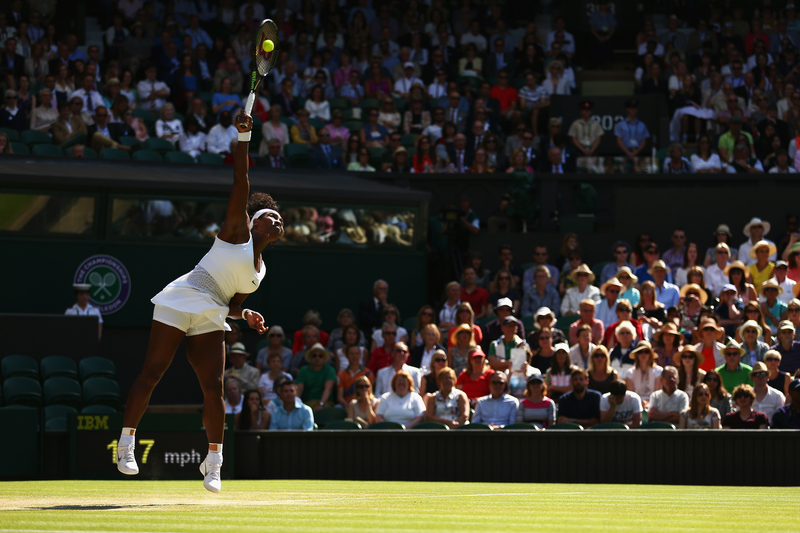 Hawk-Eye revealed the ball was in, giving Muguruza the point. 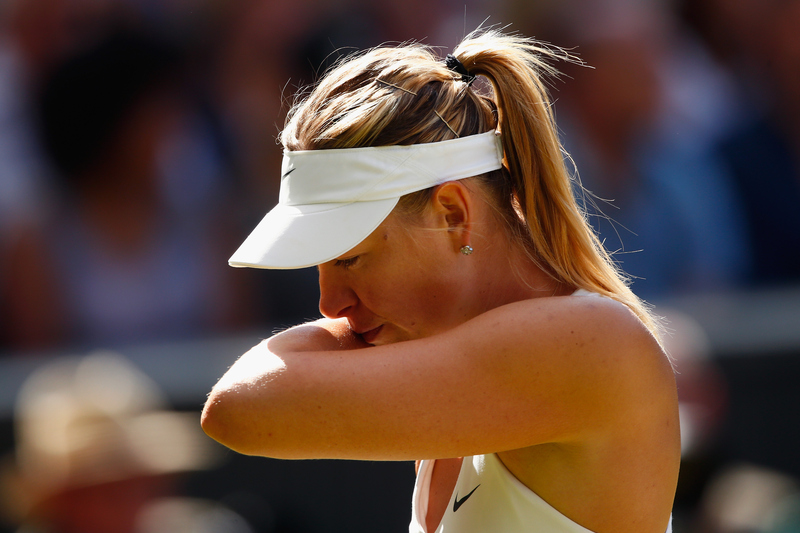 "I heard some people were saying out out, I don't know," Muguruza said. "I was just praying the ball was on the line." Had Radwanska not stopped play she likely would have had another break point. Instead, Muguruza finally closed it out with her 39th winner of the match to book her spot in the final. 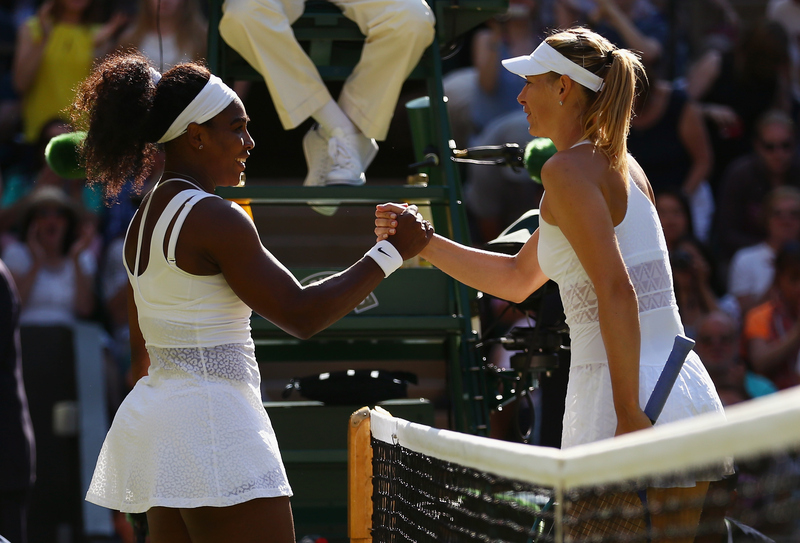 She will play either Serena Williams or Maria Sharapova.